Dr Megan Nethercote is a researcher and architect who investigates the impact of apartment design regulations and guidelines on urban housing outcomes. Dr Nethercote uses design and social science methods to examine the nature and implications of urban intensification on housing-related outcomes for city residents, including residential mobility and household dynamics. As part of an international ARC Linkage project conducted in London, Barcelona, Perth and Melbourne, Dr Nethercote investigates the impact that design-quality regulation in the apartment sector has on households and cities. She previously undertook qualitative research on the dynamics between urban development and residential mobility for another ARC Linkage project. She has experience working on several major, multi-institution interdisciplinary Australian Research Council (ARC) Linkage grants with a range of government and industry partners. She currently manages ARC Linkage Project HOME, which is a large empirical study of infill apartment development across four international cities (Melbourne, Perth, London and Barcelona), to understand how we might characterise ‘good’ design for apartment developments and the institutional settings that encourage and impede its delivery. This research involves collaboration with industry partners, the Department of Premier and Cabinet, and the City of Melbourne, and responds to heightened national and international scrutiny surrounding the proliferation of substandard apartments and mounting pressure to better regulate this. 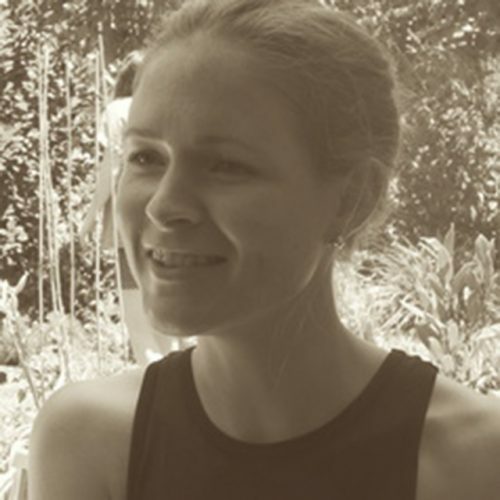 Dr Nethercote was awarded Malcolm Moore Award in April 2017 to pursue additional research on the political economy of apartment development, and specifically attempts to interrupt or contest ongoing housing commodification and financialisation. Through a pilot study with social enterprise Nightingale Housing, Dr Nethercote is investigating alternative relationships between land and housing, including understandings of their progressive possibilities to reorientate us towards de-commodification, and its impacts on households and communities. She has collaborated with colleagues in urban planning, urban and housing studies and design disciplines at the University College London and the University of Melbourne, as well as industry stakeholders such as the Victorian Planning Authority, Department of Premier and Cabinet (Victoria) and City of Melbourne. Dr Nethercote earned her PhD in 2013 from RMIT University where she examined Indigenous housing policy reform and tenancy management in town camp communities. Dr Nethercote was awarded a Vice-Chancellor’s Postdoctoral Fellowship in 2017 and is based in the School of Global Urban and Social Studies. Her research investigates the impacts of urban intensification, and of capitalist political economy in particular, on households and cities. Her current work focuses on high-rise apartment development, and also the functions of housing and households under neoliberal shifts.